Our super racemare Private Secretary won the Fillies and Mares 1300m Handicap on the Gold Coast in January 2017. She broke through for a well deserved and overdue win. 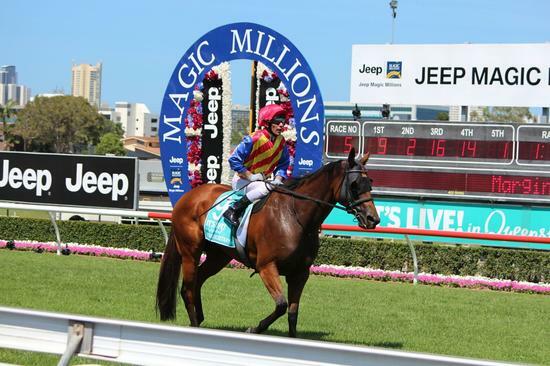 She reached the milestone of being the stables first Million Dollar earner, no mean feat. Private Secretary (Husson – Secretaire) was purchased by Greg Hickman in 2011 for $32,000. Her grand dam was by the Champion American Sire Secretariat. Perhaps it is those great genes, that gives her such an electrifying finish - she unleashed a devastating sprint from last on the turn, then widest runner to overtake the field for victory. 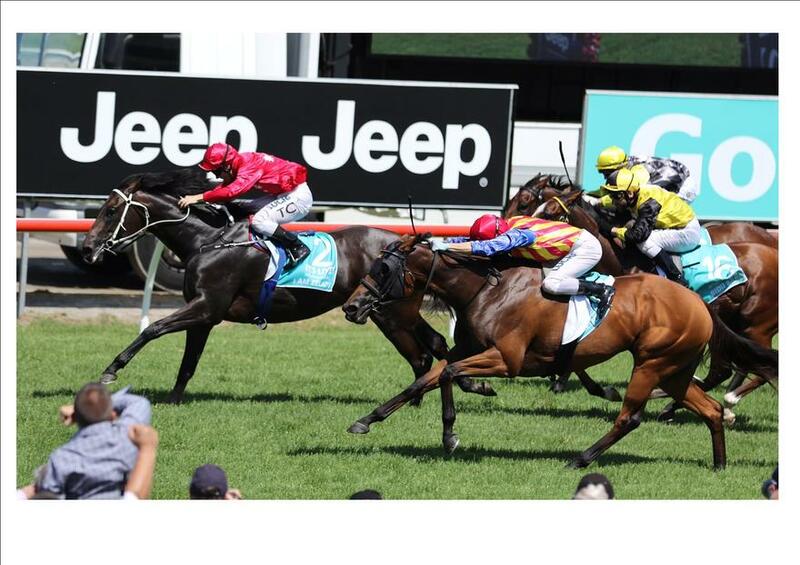 Her sectionals would have been outstanding and an exceptional run from barrier 17. Her owners at the races were confident she had won and the result was never in doubt. 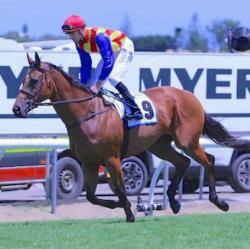 Privates’ jockey, Ben Melham was also confident he was riding the best horse in the race which was proven to be correct. Private Secretary’s outstanding record is now, 21 starts and now having won 8 races with 8 placings. 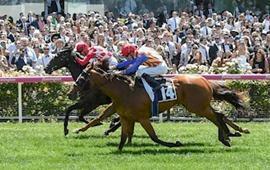 This includes her stakes performances in the Group 3 events - Wenona Girl Hcp, Proud Miss Stakes & Sensis Stakes. Thus traveling to Adelaide, Melbourne and Brisbane to achieve the results. Private has now total earnings of $1,043,060.